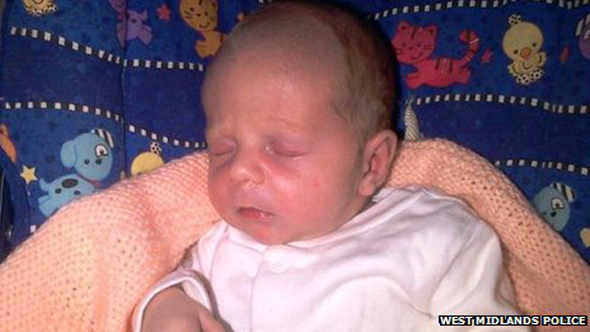 A nine-week-old girl, allegedly taken from her home in the West Midlands, has been found "safe and well". The child's father, Stuart Adams, 30, was detained in Pleck, Walsall, on suspicion of assault, police said. Officers searching for Lana-Mai found her after she went missing from her home in Prince Street, Walsall, at about 02:20 GMT. Earlier, police issued an appeal to find Mr Adams and said they were "very concerned" for Lana-Mai's welfare. They said she was taken to hospital to be checked over, but appeared to be well.